Summary: Summer for Sasha and Ray means the sprawling old house on Long Island. Since they were children, they’ve shared almost everything—reading the same books, running down the same sandy footpaths to the beach, eating peaches from the same market, laughing around the same sun-soaked dining table. Even sleeping in the same bed, on the very same worn cotton sheets. But they’ve never met. Sasha’s dad was once married to Ray’s mom, and together they had three daughters: Emma, the perfectionist; Mattie, the beauty; and Quinn, the favorite. But the marriage crumbled and the bitterness lingered. Now there are two new families—and neither one will give up the beach house that holds the memories, happy and sad, of summers past. The choices we make come back to haunt us; the effect on our destinies ripples out of our control…or does it? 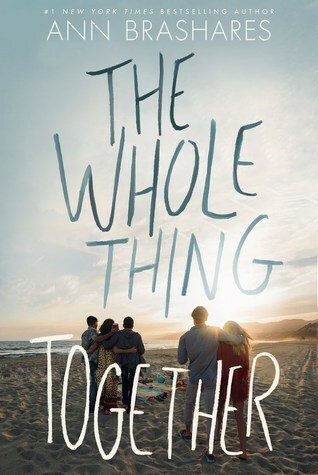 This summer, the lives of Sasha, Ray, and their siblings intersect in ways none of them ever dreamed, in a novel about family relationships, keeping secrets, and most of all, love. For starters, this book first caught my attention because I myself am from Long Island (and so are Amber & Emily! ), and I love reading stories that take place where I was raised, partially because they're so few and far between! Once I investigated further, the plot definitely seems interesting -- mirroring stories about two people who have never met, the history and memories of the house...and the cover! Gosh, there are so many aspects about this cover and this summary that make me want to grab this book immediately and stretch out on the sandy beach and give it a read -- looks like I just gave myself some summer plans! This book definitely seems like a summer read worth getting your hands on, and I can't wait to read it myself!